Apple’s Grab is still the best screenshot applications for taking timed screen captures. But thanks to Keyboard Maestro and Hazel, there are three features or steps that I automate to reduce the steps for taking and saving timed screenshots. I assume that most Mac users are familiar with these universal keyboard shortcuts for quickly taking screenshots. On the other hand, Grab, which is located in the Utilities folder, can also be used to take selected and screen-wide captures, but it also can take timed screenshots. Timed shots are useful for when you need to capture one or more items on your desktop that can’t be done using a selected screenshot. For example, the other day when I wanted to get a screenshot of Apple’s Application Switcher for an article, I had to use a timed capture because the Switcher doesn’t remain open without holding down the Command key. 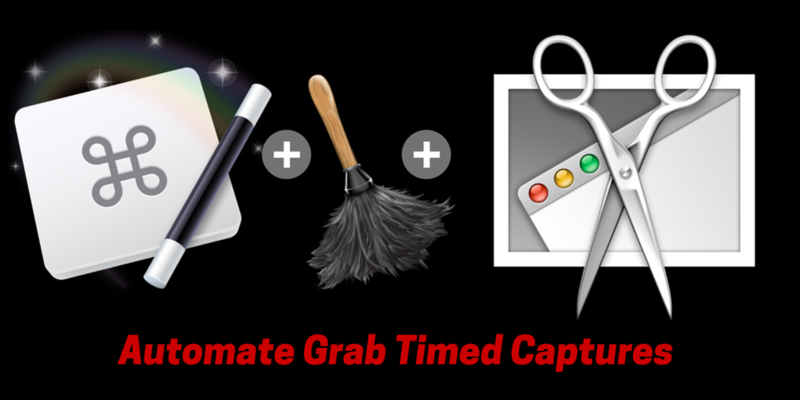 The timed menu item in Grab is easy enough to use, but with Keyboard Maestro and Hazel, I can automate the workflow for using the application, which speeds up the process. What I’m about to describe is based on my particular workflow. 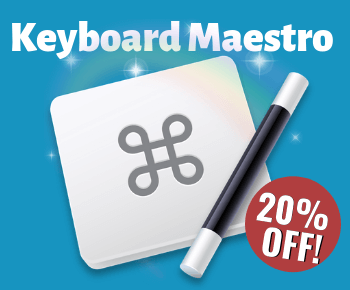 Your workflow needs may be different, so as you read my example think about how you might use Keyboard Maestro to serve you own particular purposes. Using Keyboard Maestro and Hazel saves me from clicking or applying menu items and converting files. With KM, the Time Screen menu item is selected when Grab activates as the frontmost application. Again, because I only use Grab for timed shots, I want this Timed menu item to automatically appear each time I bring the application to the forefront, which of course saves me the trouble of manually clicking the menu item. The KM macro also will trigger another application, HiddeMe which I use to temporarily hide all icons on my desktop so that they don’t appear in the screen capture. Note at this point, click away from Grab so that it’s not the frontmost application, and then I click the Start Timer button to activate screen capture. After the screenshot is taken, the Untitled image should automatically open in Grab. From there, I deactivate Grab by clicking on the desktop, and then reactivate Grab so that KM will run the macro again, and this time it will automatically see the Untitled file and run the rest of the macro to save it. At this point, I don’t need a custom title, so I allow KM to save it as “Untitled.” After the file is saved, KM automatically closes the file. Here’s how the macro is set up. Notice also, now with Keyboard Maestro 7.0, actions can be renamed and highlighted with a selected color. In his example, for future reference, I use renamed the action, “Hide icons…” to remind me of what it’s doing. Unfortunately, Grab formats a timed capture as a .tiff file, which is not useful for me, and probably most users. So when a .tiff file is saved to my desktop, Hazel automatically applies a rule to convert the file to JPG, using an Automator workflow. 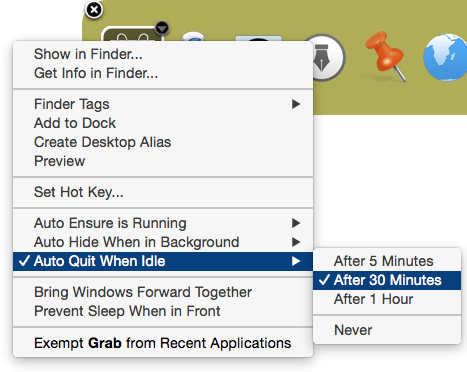 The Automator action is simple to set up, with just two simple actions. 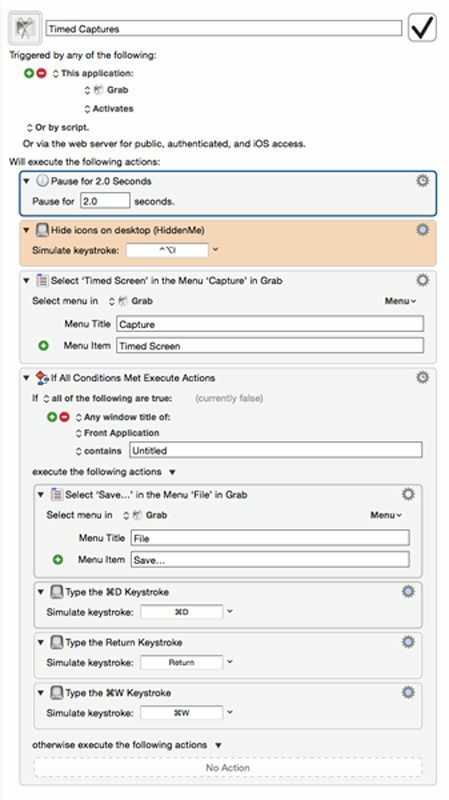 Here’s a link the the Automator workflow. Call me lazy, but I also use one more piece of automation for Grab. If I leave the application open, SuperTab will automatically quit the application for me when the application has been in the background for 30 minutes. According to the KM’s Macro Inspector, I have triggered the Grab macro 196 times, and saved 30 minutes. I’m not sure how accurate that information is, but I do know I have saved redundant steps and clicking in the process each time I use Grab. You can do the same. Let me know what you think about this automated workflow, and similar ones you use. And be sure to subscribe to this blog to get updated about new posts. Thanks for dropping by. You know, my screenshot workflow has changed again since this article. I now mostly use BetterTouchTool finger gestures and SnappyApp to take screenshot. But to answer your question, which is a good one…if you’re referring to screenshots piling up on your desktop, you can use Hazel to move or trash those shots after a specified time on your desktop. You say that you have to close your shots. Are you having them open up after they are saved, or are you using SnappyApp or a similar application that does that?